As the British Grand Prix is Sidepodcast's home race, we've pulled out all the stops to bring you the best F1 preview video to date. First up, we've got exclusive footage from the recent test at Silverstone, where 9 of the 11 teams turned up to spend 3 days blasting around the English countryside. 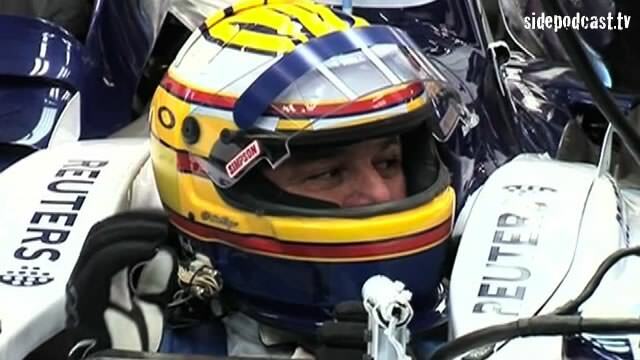 We also take a behind-the-scenes look at how mainstream television works with Formula 1 teams to bring fans closer to the action, when ex-drivers-turned-commentators Martin Brundle and Mark Blundell take to the Northamptonshire track in a pair of Williams F1 cars. 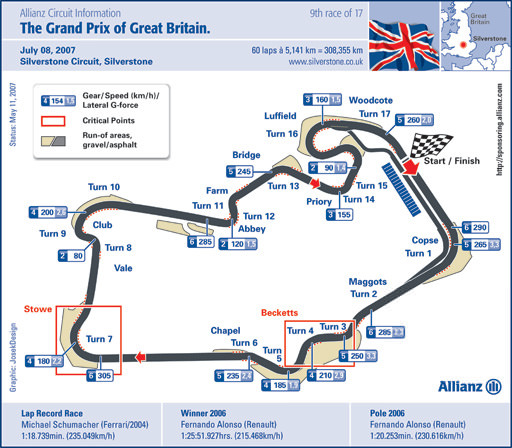 Additionally we have our usual fast lap around the circuit, this time Christine takes you around classic corners such as Copse and Becketts, names steeped in Grand Prix history - they don't build 'em like the used too. Finally we look back at last weeks French GP and check how the two championships are stacking up as we reach the halfway point of the 2007 season. It's an action packed show! Music comes from music.podshow.com, with special thanks going to Allianz SE, ITV PLC, Locog and RTV GmbH, for the use of their video footage. Previous post Wasn't that like... two weeks ago?